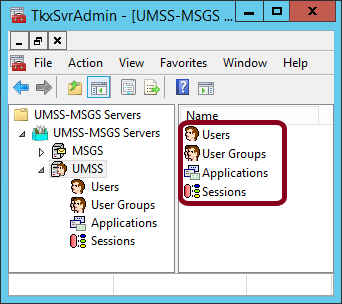 This Reference Article defines and explains the topic of the UMSS \ Data Access section of the UMSS Group Permissions in TEKLYNX CENTRAL and LABEL ARCHIVE. 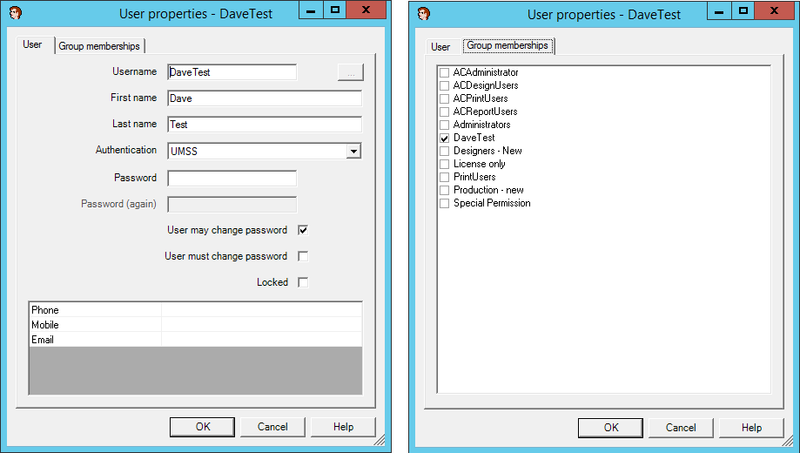 The permission groups above different options roughly match the different nodes provided on the left-hand navigation in the TkxSvrAdmin screen: Attempts to access these screens / nodes without membership in a group with the “Execute” selected will yield the ‘No permissions to view..’ error message. These capabilities are dependent upon the corresponding settings in the UMSS / Data access / Users section which control access to database tables. Full Execute capabilities are only possible if all the UMSS / Data access / Users permissions are granted. See the UMSS / Data access section permissions article for more detail. Execute – When the box is checked, the user assigned to this group will be allowed to execute the specific transactions (add, change, delete, and assign) for users in the system. When the option is unchecked, the user with that user group will get a ‘No permissions to view…’ error message. These capabilities are dependent upon the corresponding settings in the UMSS / Data access / User Groups section which control access to database tables. Full Execute capabilities are only possible if all the UMSS / Data access / User Group permissions are granted. See the UMSS / Data access section permissions article for more detail. Execute – When the box is checked, the user assigned to this group will be allowed to execute the specific transactions (add, change, and delete) for user groups in the system. When the option is unchecked, the user with that user group will get a ‘No permissions to view…’ error message. Note: If the group lacks UMSS / Data access / Query permissions, the Execute permissions will not work. The user without that permission gets a ‘No permission to process’ error message and a blank screen instead of a list of users. Without the ability to Query, the user cannot see the data on which to execute commands.